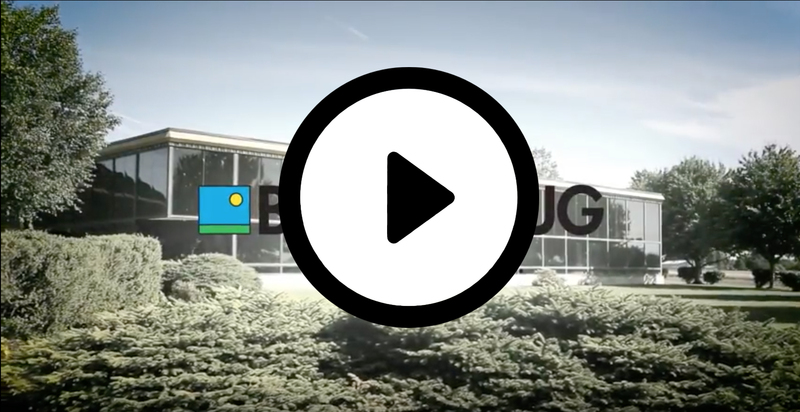 A recognized leader in innovative grass seed coating, Barenbrug’s Yellow Jacket Enhanced Coating has provided the professional turfgrass seed industry with quality coated seeds since 2007. Utilizing a world-wide network of Barenbrug research stations, university research, and private manufacturing, Yellow Jacket was developed to include super-absorbent technology, advanced nutrient packaging, seedling disease protection and now, Aquatrols Seed Enhancement Technology. Yellow Jacket seed enhancement is ideal for those less than optimum weather conditions or when conditions of use and play don’t allow for normal conditions of establishment. When first developed and introduced, numerous independent university tests provided the positive value of the Yellow Jacket process for turfgrass seed. Since 2007, millions of pounds of Yellow Jacket enhanced seed sales and turf professionals across the USA provide the strongest message of value and performance. Barenbrug now provides Yellow Jacket Enhancement for all of its bentgrass varieties, bermudagrass brands and our premium turf brands including Turf Blue and Turf Blue HGT, RPR Regenerating perennial ryegrass, RTF Rhizomatous tall fescue and Dunes Mix of fine fescues. We used RPR with Yellow Jacket to re-establish and found the seed used less water and ­germinated/established faster. Now, after several years on the market, Yellow Jacket has proven itself a key to successfully establishing turf by our customers in some of the most demanding applications. Yellow Jacket can be found on all major cool and warm season grass seed species including tall fescue, perennial ryegrass, annual ryegrass, bentgrass, Kentucky bluegrass and Bermudagrass. 98% of evapotranspiration (ET) and 56% of ET. At conclusion, the tudies indicated Yellow Jacket enhanced seed established faster and maintained a high turf quality when compared to uncoated seed. Ohio State’s Pam Sherratt conducted trials with multiple grass seed coatings. Findings showed the Yellow Jacket process providing multiple advantages, even on faster establishing species, including Perennial ryegrass and turf-annual ryegrass. Particularly notable was the improved performance of coated fungicide when combined in the Yellow Jacket process. The systemic fungicide was held readily available to the newly emerged roots and quickly provided fungicidal disease protection. Yellow Jacket Enhanced seedlings quickly developed a strong, healthy root system with faster plant establishment. Currently Yellow Jacket contains the proven systemic fungicide, Apron XL ( ai. Mefenoxim ). In a field study conducted under ‘ideal establishment’ conditions, North Carolina State evaluated both Yellow Jacket enhanced seed and uncoated seed. Featuring germination blankets and ample water, little difference was noted during establishment between the two products. However, the unanticipated value of the Yellow Jacket enhanced seed proved itself in subsequent months. Most all coated entries exhibited superior turf ratings and disease performance a full year after seeding. When averaged over two summers, disease ratings on coated seed outperformed untreated seed. The value of strong establishment once again provided long term turf quality and performance. With germination and establishment trials performed in a Phytotron controlled environment facility at North Carolina State, both Yellow Jacket enhanced seeds and uncoated seeds were evaluated at different moisture levels. Under limited moisture conditions, Yellow Jacket enhanced seed significantly outperformed uncoated seed when evaluated 28 days after seeding. Percent of germination virtually doubled with Yellow Jacket enhanced seed. A study was conducted at New Mexico State using a strong saline concentration to determine germination rates. Conducted using AOSA rules for seed testing, a solution of 18,000 ppm was used on four different turf species with germination percentages measured at 30 days after planting. Most importantly the Yellow Jacket coating was unaffected by the high salt concentration with three of the four coated species performing better than the raw seed. As part of our ongoing commitment to innovation, Barenbrug is proud to introduce Aquatrols Seed Enhancement Technology (SET) to our Yellow Jacket Enhanced Seed Coating program beginning in 2016. When Yellow Jacket was first launched in 2007, it revolutionized the turfgrass seed industry by safeguarding seedling establishment during water shortages. Now, Yellow Jacket with Aquatrols SET provides the added benefit of improved water use efficiency in a wide range of growing conditions. Developed by the world leaders in soil surfactant technology, Aquatrols SET represents a major breakthrough in seed coating. Seed coated with Aquatrols SET 4001 carries its own protection against adverse growing conditions, including deficit irrigation, high heat, and salt stress. When rainfall or irrigation is applied, Aquatrols’ patented soil surfactant coating washes off of the seed, creating a hydrophilic conduit beneath the seed. This conduit acts as a bridge between the soil surface and subsoil moisture below, allowing immediate availability to water once the seed germinates. This leads to faster plant establishment with increased root and shoot mass.